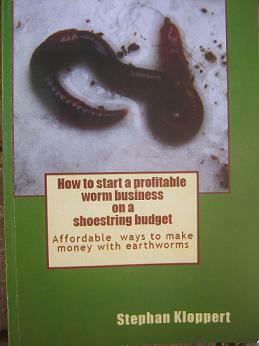 Red wiggler worms are arguably the most popular and widely used earthworms for worm composting. Of all the thousands of kinds of earthworms that can be found on our planet there are actually only a handful suited to be harnessed and placed in worm composting bins of any kind. 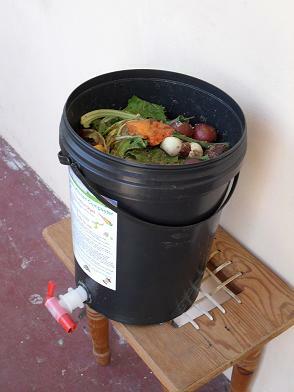 I often get asked questions like and I quote "Can I use just the ordinary earthworms that are finding in my garden or the sidewalk after a rain shower to start a worm composting bin?" This is a tricky question as there are so many kinds of earthworms around and there might be the chance that one might find some "Eisenia fetida" worms which is the scientific name for the red wiggler worms in the garden especially if it has a well managed compost heap but more often than not the worms found by chance are not the ones that would thrive in a worm bin. Red wiggler worms are not just any kind of worm! 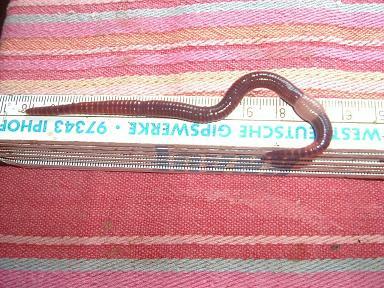 A massive (20 cm / 8 inches Red wiggler worm that I raised on koi fish poop in my aquaponics system. The words "epigeic, endogeic and anecic have their roots in the Greek language and describe the kind of habitat the different earthworm types can be found in. 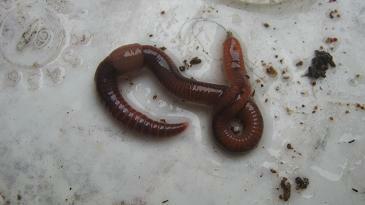 For more information about the different earthworm types click here. 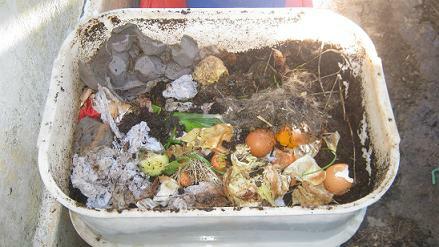 Red wigglers and the other composting worms fall in the "Epigeic Group" This worms are mainly living above the soil level in the top 10 to 20 cm / 4 to 8 inches of rich organic matter. 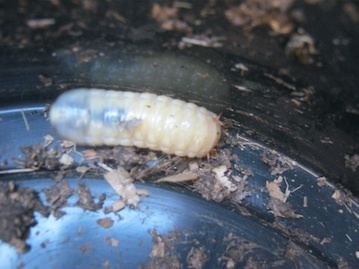 The traits of Red wigglers and the other popular composting worms like European night crawlers and the African night crawlers for example are a great appetite and fantastic breeding speed. Eisenia fetida worms for example can eat under ideal conditions food that weighs as much as half their body weight every day. This means that 12000 of those compost worms can consume more than 1000 kg / 2200 pounds of organic materials and convert them into nutrient rich worm castings which are amongst the worlds finest natural soil conditioners. As I mentioned above the rate with which Red wigglers multiply is amazing. 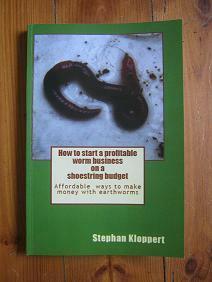 If you would start with just 1000 worms and you would optimize their multiplication you could end up with more than 3 million worms after just 12 month. Although these numbers are hardly ever achieved as there are always a few things that can go wrong one can certainly produce more than one million worms in that time period. 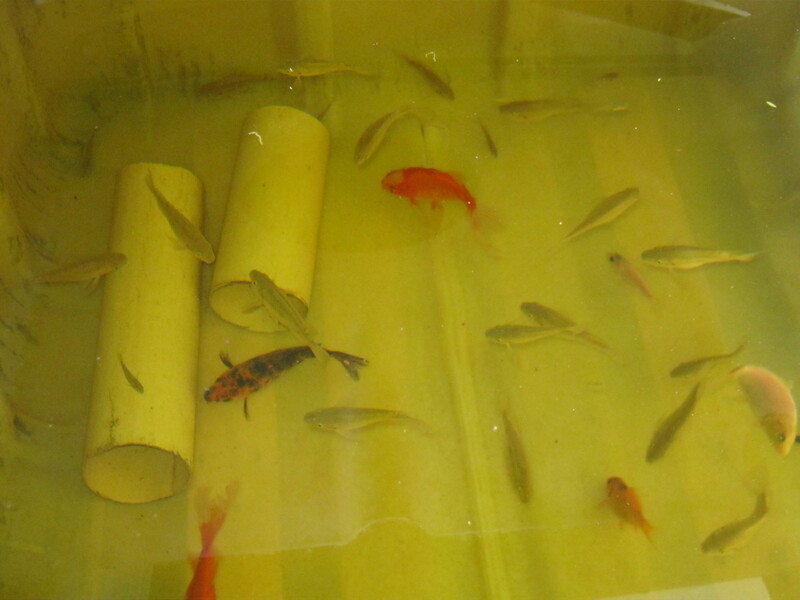 The third reason why the Red wigglers are so popular and nearly ideal for worm composting is the fact that they can handle a wider range of temperatures than most other kinds of worms that are suited for worm composting. 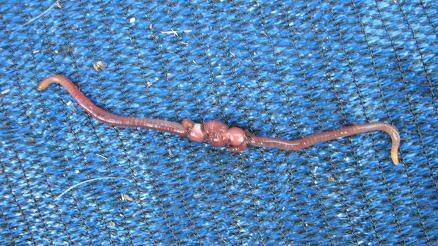 Eisenia fetida worms are capable to live in a temperature range of 5 to 30 degrees Celsius / 41 to 86 degrees Fahrenheit. Keeping in mind that they are usually surrounded by some bedding in their bin which insulates them somewhat from the outside temperatures these worms can survive in most climates as long as they are not exposed to extreme temperatures. Red wiggler worms can be found on all continents except Antarctica.